Create an account on this site by clicking "register" in the upper right hand corner. Click on the Add Data Request button that now appears below this list. Describe the data you are requesting. It is helpful if you describe the intended use, but not required. Check the status of your request on this page. Hi! 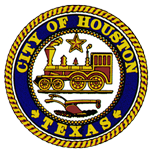 I'm looking for a GIS file for the City of Houston's council districts, in a format such as a shapefile, KML or geojson. It doesn't look like this dataset has been updated in over a year. When will it be updated again? I hereby request a list of residential properties which have had reported fires for the month of January 2019. Thank you!